I can’t believe it’s been 10 months since our wedding. In a way, it felt like it was just yesterday. I kind of regret not documenting the whole planning process but figure I will share some of it now anyway. After all, planning a destination wedding on our own was definitely quite an adventure. They say hindsight is 20/20 so I will be sharing some of that and will try my best to remember how things were at the time of planning as well. I’m breaking this into a 3-part mini blog series. Part 1 will include booking the venue from another country without the help of a wedding planner (fun, fun, fun!). 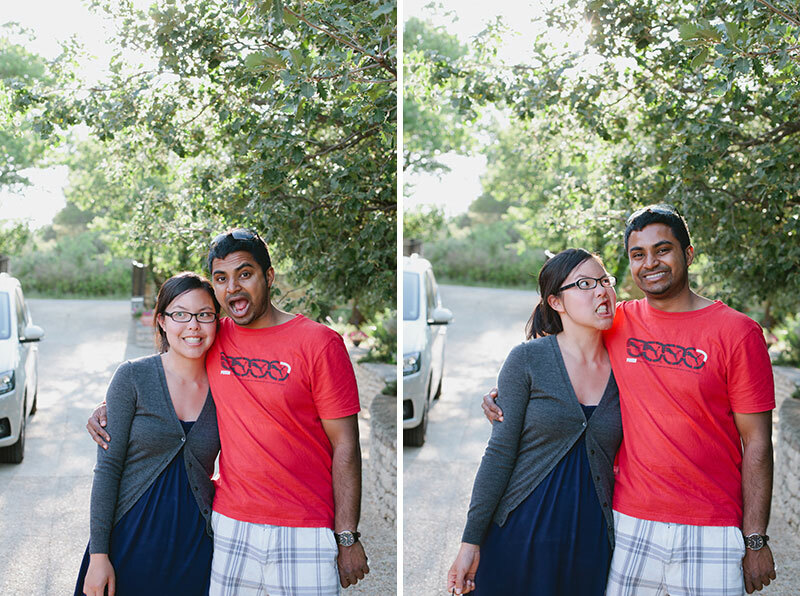 After M and I got engaged, we spent the first couple of months just enjoying the giddy feeling. Then gradually we realized we had to start planning this thing! I had already read some wedding blogs and being a photographer, knew a thing or two about the wedding industry and this wedding business. But I still wasn’t quite prepared for the complexity of planning an event like this. Looking back, I realize this was probably the biggest event we’d ever plan together. Anyway, we knew that first we needed to decide where we wanted to have the wedding. Growing up, I didn’t dream about my wedding day. I was always pretty sure I wanted to get married, and after I met M, my daydreams were about marrying M, but not the details of the wedding itself. We both agreed that we wanted a small and intimate wedding, nothing too traditional, and we wanted it to be beautiful but simple. I don’t remember who threw out the destination wedding idea now, but it was probably me. It just made sense, we like to travel and I’m a hopeless romantic. Ok, M agreed, that would be pretty cool, but where? My first thought was Provence, France. 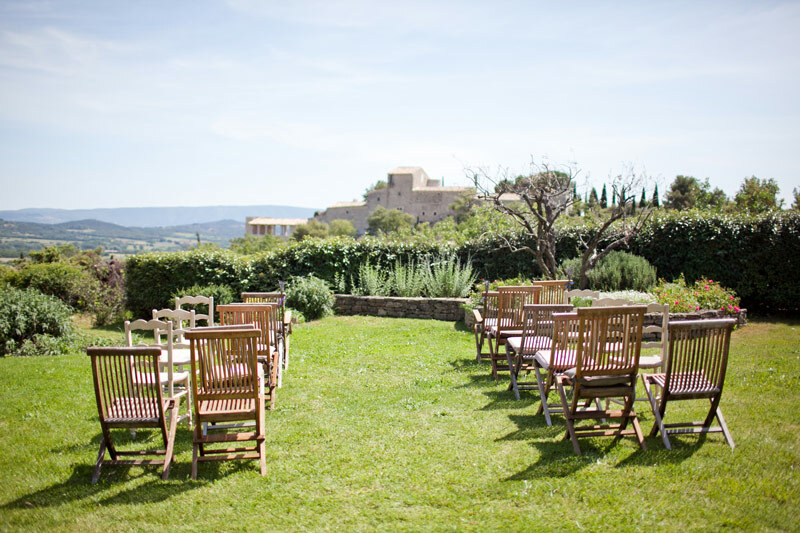 We fell in love with the Provence countryside like so many others before us, when we visited in 2009 and we’d love to share what we found with our family and friends. My second choice would have been Cape Breton, Nova Scotia. I love being close to the sea and have always wanted to visit Cape Breton. So two potential destinations, very different from each other, how do we decide? We started by asking a few close friends and our immediate family whether they would travel to France for our wedding and surprisingly got a “yes” pretty much all around. The Cape Breton idea was quickly eliminated because we thought it probably won’t be warm enough to get married on the East Coast right by the sea until July and we really didn’t want to travel afterwards in the high season of summer. So Provence it was! 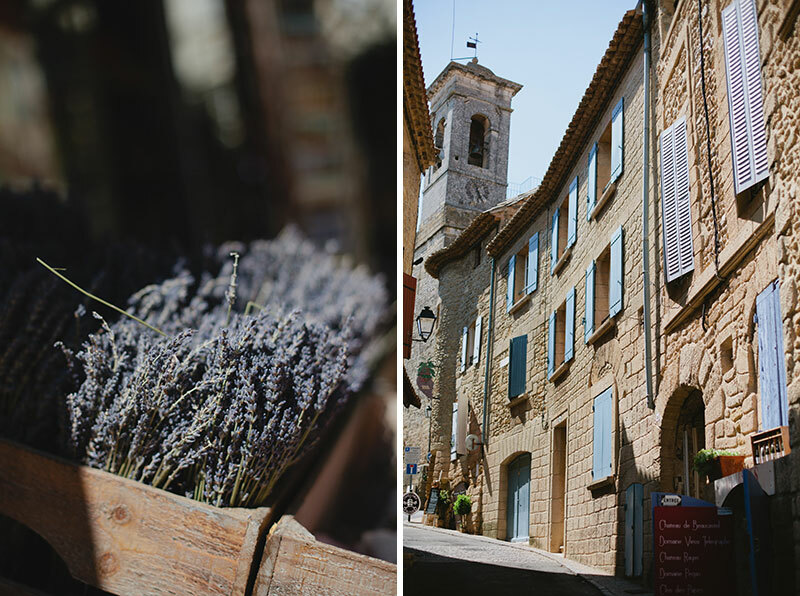 lavender & cobblestone streets. photos by me. Throughout our engagement, whenever people asked us where we were getting married and our answer was “south of France”, there was usually this look of surprise and awe. Secretly I think everyone must have thought we were renting a castle or a chateau and having a fancy pants wedding. In truth, that wasn’t the case. It would have been pretty cool to rent a castle or a chateau though! I mean who wouldn’t want to get married in an authentic, restored castle from the 11th century like this one?! Just wicked. But that didn’t happen for two reasons: 1) It wasn’t us; I’d never wanted to be a princess, and I didn’t want to be a princess for our wedding 2) we didn’t have 7,500 euros to spend on a castle even if we wanted the glamorous princess wedding. So we had to define some criteria for what we were looking for. Since we wanted a civil wedding ceremony, we didn’t need to find a church, and since we would need a place to stay anyway, we thought why not rent a vacation property for a week? We could have gone to a hotel or private property that caters to weddings, but we wanted to do it ourselves and it would also save some money. 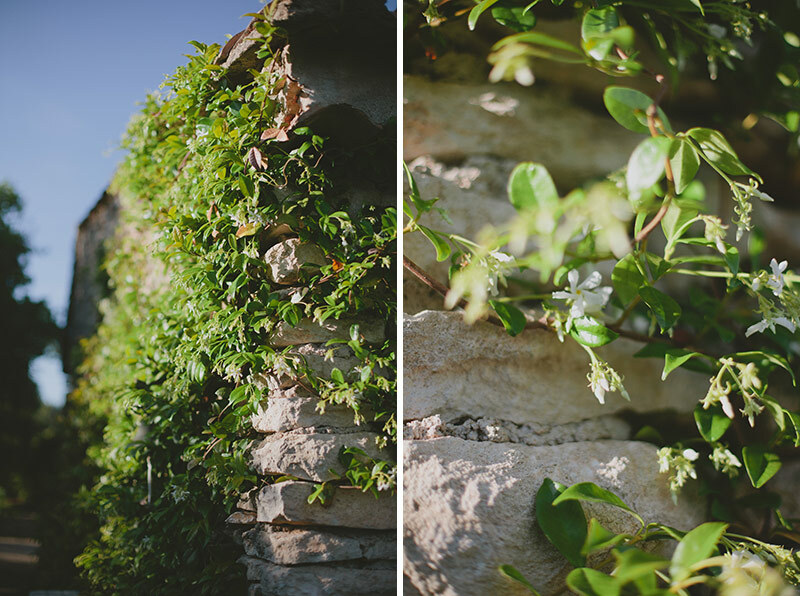 We knew it was the right decision because we felt not only would having the wedding at our own rental property allow us more control over how the day would unfold, but it also lent to the intimate and relaxed feeling we wanted. It would just be like a gathering of family and dear friends. A note here about getting married legally in France: since the French are famous for their bureaucracy, it’s pretty brutal for foreigners to legally get married in France. I don’t remember exactly now but I think one of the prerequisite was that you both had to have been in the country for 45 days consecutively prior to the wedding day. That clearly wasn’t going to happen, and plus we’d need to be legally married in Canada, which is where we live anyway, so we didn’t worry about legally getting married in France. Instead, M and I went to city hall two weeks before our French wedding, and got the legal part done. This post is getting insanely long, and I haven’t even gone through the venue search yet. Sigh, but follow along if you are interested :) Next we had to find a little vacation property for a week. After settling on a time frame of end of May because the weather would already be nice and warm but not overly hot yet, the search for the perfect venue began! Of course, I know now that like many things in life, there is no such thing as a perfect venue. This part of the search probably took the longest for us. We didn’t book our venue until October, 2011. That was just 7 months before the wedding! Yikes, The Knot wedding planning book said we should book a venue at least 10 – 12 months out! Yup, I bought a book by The Knot. I felt most of the things in there were non sense but I wanted to find a basic guideline for what things “should” be done and when. Most of it didn’t really apply to us, and I’m glad they didn’t, so we took what we needed, threw the rest out the window and customized it to us. Back to the venue, this did cause some tension and at least one big fight. At the time, we were planning the wedding, organizing and getting ready to move, I was working two jobs and tons of other house related things on the go. We knew it was probably going to be stressful going in. I remember fighting about maybe delaying the wedding in the middle of looking at a bunch of vacation houses online. In the end, somehow we agreed we can do it if we work as a team. 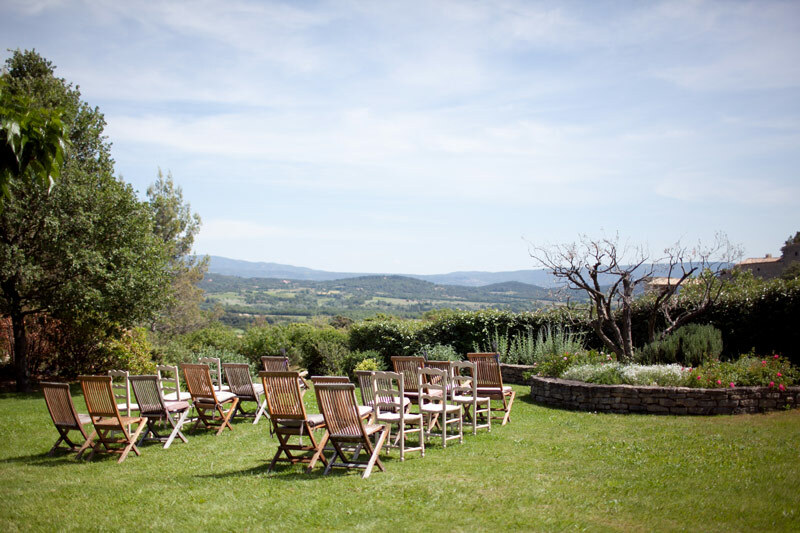 The initial search for the venue consisted of looking at various France vacation rental agency websites, and boy are there a lot of them out there. We stared at tons of amazing photos on purefrance.com, holiday-rentals.co.uk, homes-in-provence.com and made this huge spreadsheet of properties. Then once the romance of the idea dissipated a little, there was one little issue that presented itself to us: most of the vacation rental websites had no review system. Hmm, we weren’t really comfortable with the idea of booking a vacation rental for 1 week based just on pretty pictures. It was like having a crush on someone, then realizing you were only charmed by their looks. Ha! Note: this is where having a wedding planner would have really came in handy. He/she would already know the area and probably know some properties and would be able to visit them for you. It’s really about your comfort level with planning it all yourself and your budget. But we stubbornly pushed on. 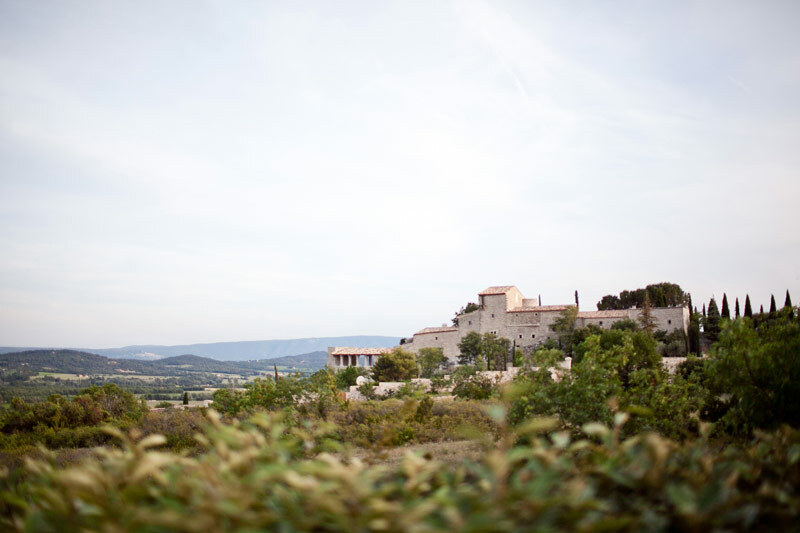 We realized just how expensive properties in Provence can be in comparison to some of the other regions in the south such as Languedoc, Dordogne or the Loire. Provence is the most well known and the most touristy, and the most expensive. 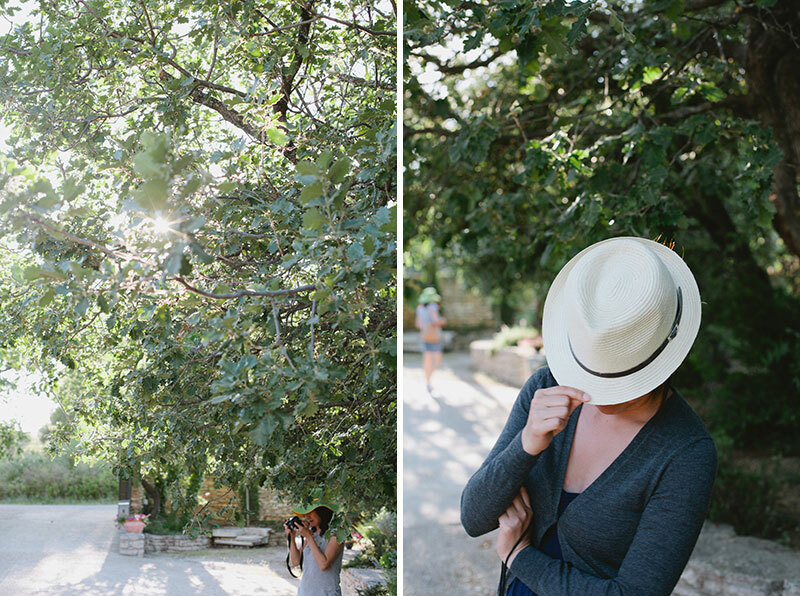 After looking at the other areas as well, we decided to stick with Provence since we were already familiar with it. Another consideration as well was how remote the property was. Our guests would already have to take a flight to Paris or Marseille, and then probably a train ride, and/or a car rental. After almost a month of searching online, we finally narrowed down on 3 properties; 2 of which we found on vrbo.com (probably the world’s biggest vacation rental site, with a review functionality I might add) and one from theluberon.com. 1) Mas de Cabrieres was absolutely charming and felt so quintessentially French. The garden area was also beautiful. I corresponded with the owner back and forth via email and he was very helpful and even got two of the previous renters to get in touch with me to let me know how their experiences were. 2) Les Plaines was a country house located in the village of Murs with panoramic views of the country side. Take a look at the photos and you’ll see what I mean. 3) Mas de la Vallette was a farmhouse villa near the village of Joucas with amazing views of the country side as well and also quite charming. It wasn’t an easy decision, but after numerous emails and questions with owners/property managers (both #2 and #3 are managed by the amazing Beverly), and some impromptu gmail chats with my maid of honour, we decided on #3. Initially Mas de Cabrieres was my favourite but despite the charm and the good feedback from previous renters, we also wanted a property with a garden area that overlooks the surrounding country side whereas Mas de Cabrieres was in the centre of the village. 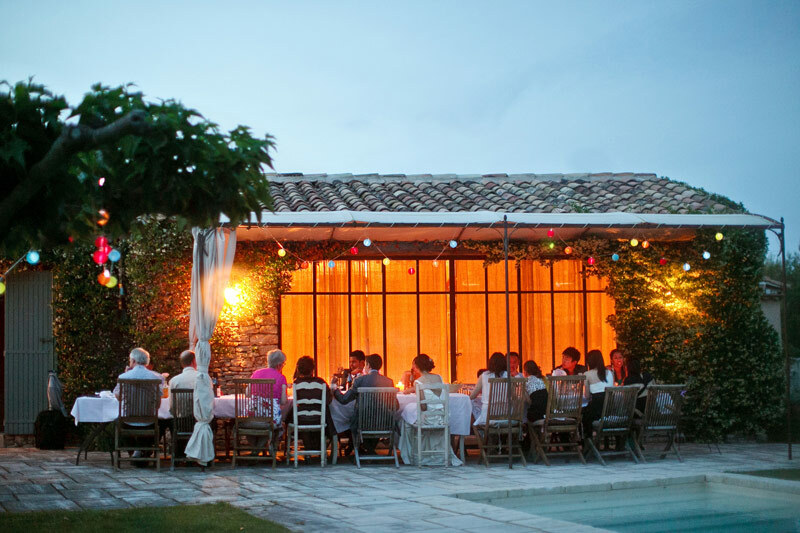 Mas de la Vallette was also able to accommodate 2 additional people compared to Les Plaines and that was important because we wanted to be able to accommodate as many family/friends as we can even though we didn’t have a confirmed number of guests yet at this point. 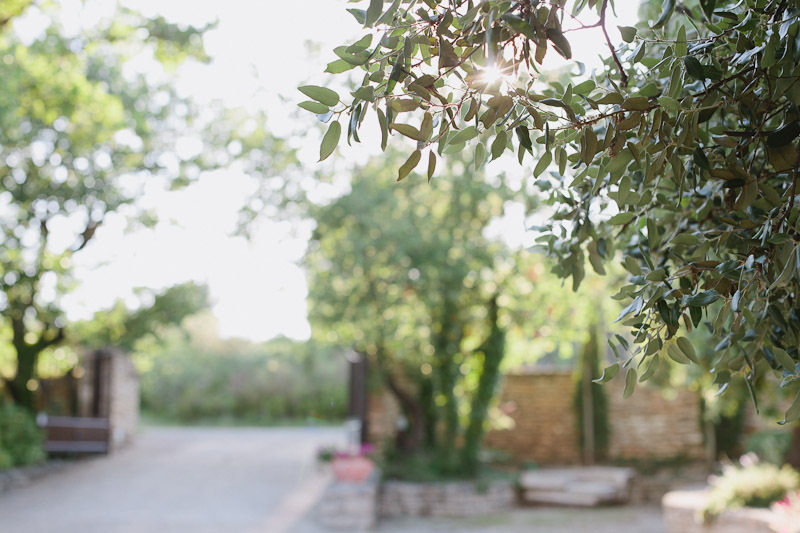 The property was located right above the tiny village of Joucas and 10 minutes away from the more well known hilltop village of Gordes, and about 45 minutes away from Avignon, which is the gateway to Provence, with major train connections. So with the venue and a date confirmed, we felt quite relieved! The day we drove onto the driveway of the property and got out of the car, I was like a kid in a candy store. It looked amazing! 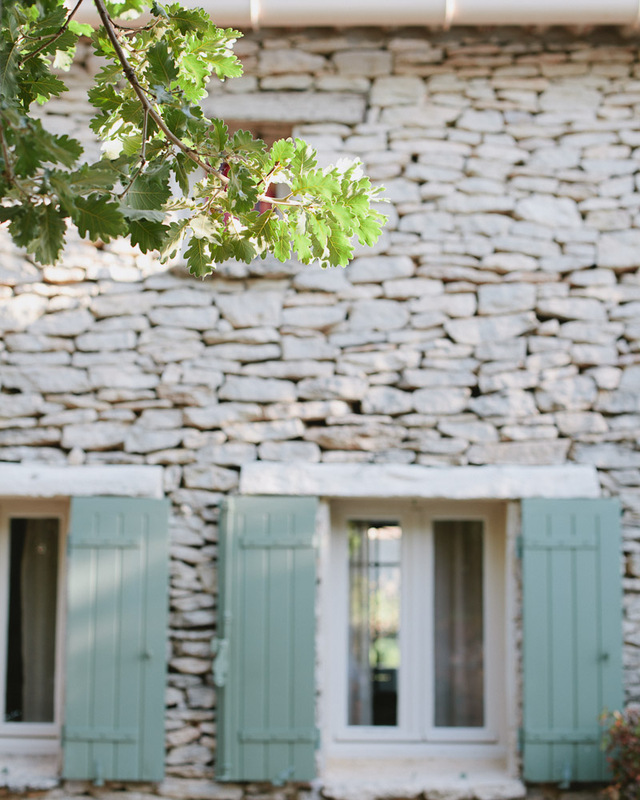 Just what I love about the Provençal country houses: stone exterior, wooden shutters, vines everywhere, and little garden with trees and plenty of flowers. I was charmed. Sometimes photos just don’t do justice to the particular place/person/moment you are trying to capture. But that’s also kind of cool I think, it’s not perfect, the photo is part of your memory but the rest is well, somewhere out there. Am I making sense? And now after reading through all this text, here are some photos of the lovely little place that was our home away from home for a week, and where we got married. It will forever hold a special place in my heart. All of the above photos are from the lovely Chloé of Caught the Light. Below are some photos I took on our last day there. Next up! Invitations and finding the right photographer. And maybe something about my dress. janice! this is a great post! thanks for sharing. i have always wondered how people planned for a destination wedding. none of my friends and family members have done this before. cant wait for the next post!